Now I’m certainly not the first to post a recipe for kale chips but I think it’s important to revisit them considering how freakin delicious and nutritious they are. These chips can rival any potato snack and win hands down. Even if you don’t dehydrate these the recipe can make a very tasty salad. I can’t wait until my homegrown kale gets bigger and I can eat chips like theres no tomorrow. The amounts of these are really up to individual taste, but I suggest you start with lots of kale because it shrinks quite considerably with dehydration and just add seasonings to taste as you go. Remember that flavours tend to become concentrated after dehydrating. Try to use all organic ingredients where possible. Destalk the kale and chop any larger pieces into smaller sizes. The size is not really too important. 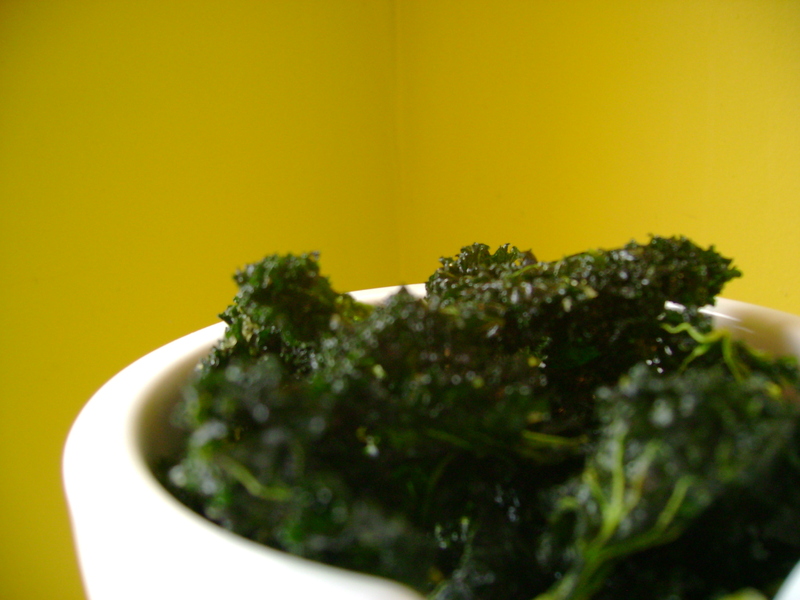 Throw the kale into a large bowl and drizzle with a little oil and lemon juice. Massage the kale with your hands until it has wilted a bit and turned a dark glossy green. You can add more oil as you go if needed. Sprinkle with a little salt and place on mesh dehydrator trays. Dehydrate for about 6-8 hours or until crispy. Kale is a part of the brassica family so it’s a sibling of broccoli, cabbage, brussel sprouts and collard greens. It is very high in beta carotene, vitamin K, vitamin C, and also pretty high in calcium. It has anti-cancer properties and can help your cells to cleanse and detoxify among other things. It’s also going to give you a pretty good dose of amino acids which are the building blocks of protein. So when anyone asks you where you get your protein just say kale! This is a delicious alternative to the heavy nut based raw icecreams and it’s super quick and easy to make if you keep some bananas on hand in the freezer. The riper the bananas the sweeter it will be. 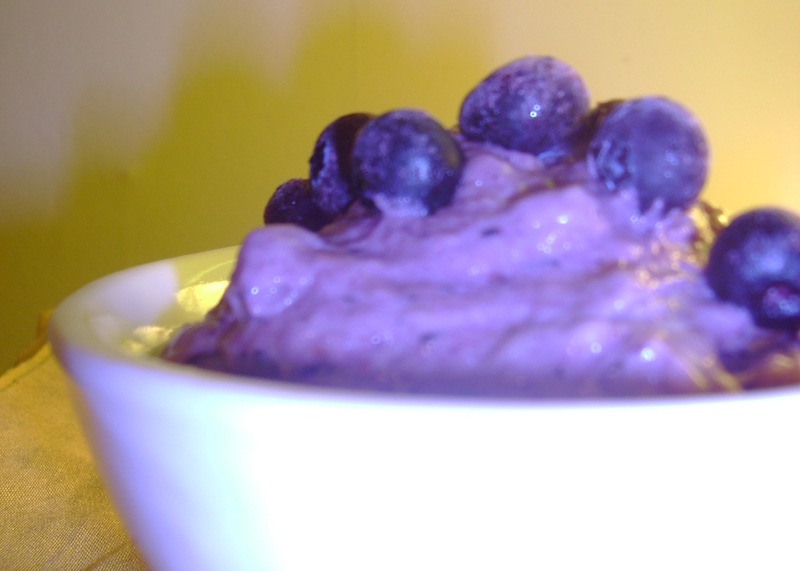 Put everything apart from the water into a blender or food processor and blend until smooth. If it’s not moving just add a little water to get it going. Either eat it right away for soft serve or if you are patient enough freeze for about hour then whisk with a fork before serving. Yum! TIP: Peeling and chopping your bananas before freezing makes life much easier. Peeling frozen bananas is a surefire way to get a bad case of finger frostbite.